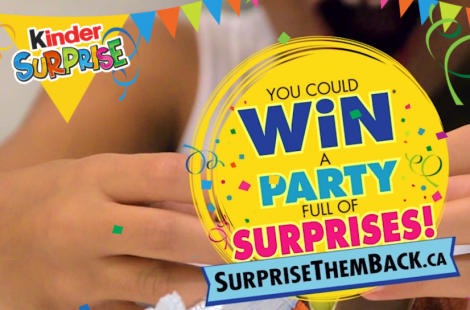 INSTANTLY Win FREE Prizes & MORE from Kinder! Kinder Surprise Canada has launched a Fun New Giveaway! Kids surprise us everyday, so why not surprise them back! Through July 31, 2018. Enter for your chance to Win The Grand Prize of 1 of 3 Ultimate Parties, Full of Surprises, valued at $5000! Also! There are 3000 instant win Personalized DIY Prize Packs to be won! Limit 1 Grand Prize and 2 Secondary Prizes per person/household. There is a limit of 4 entries per person.